Gorillaz Perform ‘Feel Good’ on The Late Show with Stephen Colbert. Watch it here. Home / Gorillaz Perform ‘Feel Good’ on The Late Show with Stephen Colbert. Watch it here. I usually don’t watch The Late Show with Stephen Colbert, but for this I will make an exception. The rendition of the Demon Days cut starts off normally, with Albarn megaphoning his verses before the music swells in anticipation of De La Soul’s arrival. However, instead of the rap group, Colbert appeared on the Ed Sullivan Theater’s screens, with the host nimbly delivering the rapid-fire rhymes. Colbert’s performance garnered a nod of approval from Albarn, who applauded the show’s host. The Late Show visit marked Gorillaz‘ first late-night appearance since 2010, when the group played David Letterman’s Late Show and performed a 45-minute Live at Letterman concert. 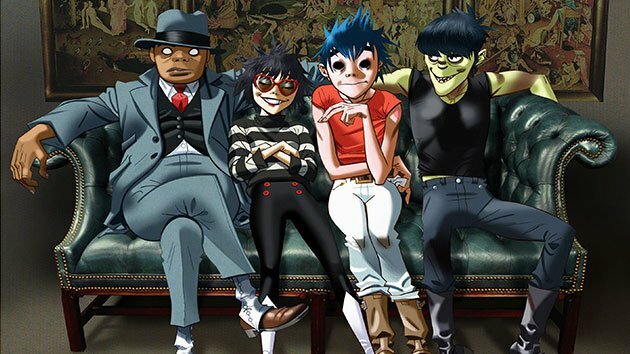 This time around, in addition to “Let Me Out” and “Feel Good Inc.,” Albarn and his band staged a 30-minute “Bonus Tracks” concert featuring Humanz material. Check out the videos below. If you missed The Late Show with Gorillaz performing, don’t worry, watch the videos below. The ‘Late Show’ also puts up video of Damon Albarn and company’s 30-minute “Bonus Tracks” concert at Ed Sullivan Theater. See below. Go behind the scenes with Damon Albarn and his band of hip hop ‘Humanz’ as they rock the Ed Sullivan Theater with songs from the new album and welcome our host Stephen Colbert for a special guest spot. VR (Virtual Reality) Concerts are not a futuristic thing, they’re here now and it’s only getting better.